Following the successful launch of Love² and Great Barrier Beer, Brother & Co have once again been entrusted by the Good Beer Co to launch its latest initiative: a beer that supports animal welfare. Working pro bono, Brother & Co has developed a complete brand identity, packaging as well as advertising collateral for the new beer, aptly named ‘Pale Tail‘. 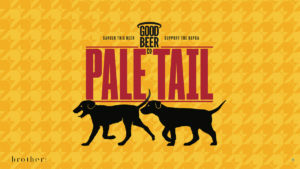 More than just an easy-drinking summer ale, Pale Tail will donate 10% of its profits to the RSPCA QLD, helping to fund their vital work in rescuing, rehabilitating and rehoming animals in need. 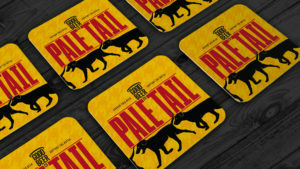 To get behind this initiative, visit here to order a case of Pale Tail. And, if you’re looking for some mates to drink it with, why not head to your local RSPCA? They’ve got hundreds of animals that would love to become your best friend.